This is not your parent’s Shasta trailer. 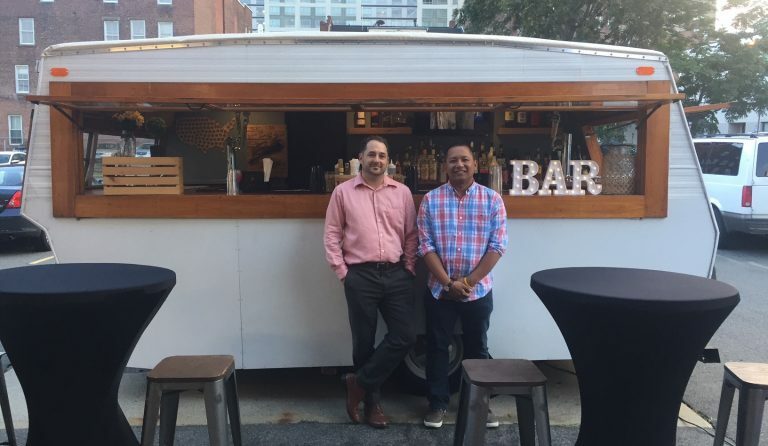 The two owners of “The Mobile Pub” are Marco Marcelo and Thomas Keane. 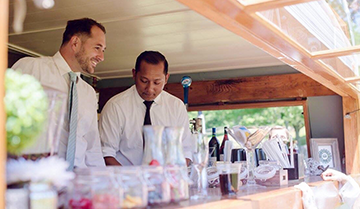 A year and a half ago they decided to deck out a 1962, 14-foot Shasta caravan with a full bar including Connecticut craft beers and haul it around the state for weddings and other events. It’s so popular, they’re buying two 1960’s Shasta’s to head out on the highways. 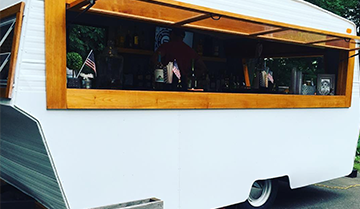 The food truck industry is filled with amazing concepts. From hamburgers to lobster tacos, this industry really does have it all. Every now and then, we see a new concept that just blows us away. A concept that is filled with uniqueness, passion and a whole lot of hard work. 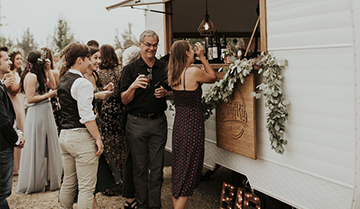 I’m taking a slightly different path this time because, a) The Mobile Pub doesn’t tool around town like an ice cream truck (though that would be pretty amazing! ), and b) it’s a little difficult crashing other people’s parties to get a glimpse, after all. But I will be checking them out.